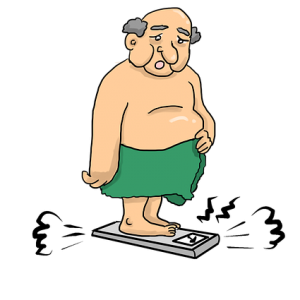 Those of us who’ve reached middle age and beyond often become new members of a rather dreadful “club:” that of the “expanding waistlines,” for whom accumulated fat, especially around the waist, can cause significant risk for Type 2 diabetes and cardiovascular disease. Are you a card-carrying member of this “club?” If so, read on. While weight gain generally seems to be an inevitable part of life these days, excess fat around your middle can be especially worrisome as it may be visceral fat, which goes deep into the abdominal cavity in and around major organs and which puts you at higher risk not only for diabetes and heart disease but also for other health problems including heartburn and sleep disruptions. So, while you may be watching your weight, what you really want to do is be watching your waist. The good news is that you can reduce your health risks and your visceral belly fat through careful eating and aerobic exercise. For additional info on how exercise can help reduce that stubborn belly fat, start pedaling that exercise bike and take a look here.